An Indulgence is the remission before God of the temporal punishment due for sins which have already been forgiven as far as their guilt is concerned. Indulgences are granted by God through the Catholic Church which, as minister of the Redemption, dispenses and applies the treasury of the satisfaction won by Christ and the Saints. Though the guilt of sin and the eternal punishment it may have merited are remitted by sacramental absolution, measurable punishment before or after death is still required in order to satisfy God's justice, even for sins already forgiven. To the extent we fail to atone sufficiently for our sins during our lifetimes on earth, we will suffer for a given "time" in Purgatory. An Indulgence cancels or lessens this non-eternal punishment. In order to gain an Indulgence, one must be Baptized, not excommunicated, and in the state of grace at least at the completion of the prescribed work. In order to gain Indulgences, one must have at least a general intention of gaining them. If at the beginning of the day we make an intention to gain all the Indulgences we can that day, we do not have to make this intention each time we perform a work to which an Indulgence is attached. An Indulgence may be gained for oneself or may be offered for Souls in Purgatory, but may not be applied to another living person. A plenary Indulgence remits all the punishment due for sin and makes possible immediate entrance into Heaven after death. To gain a plenary Indulgence, it is necessary to perform the work to which the Indulgence is attached and to fulfill three conditions: sacramental Confession, Eucharistic Communion, and prayer for the intentions of the Pope. 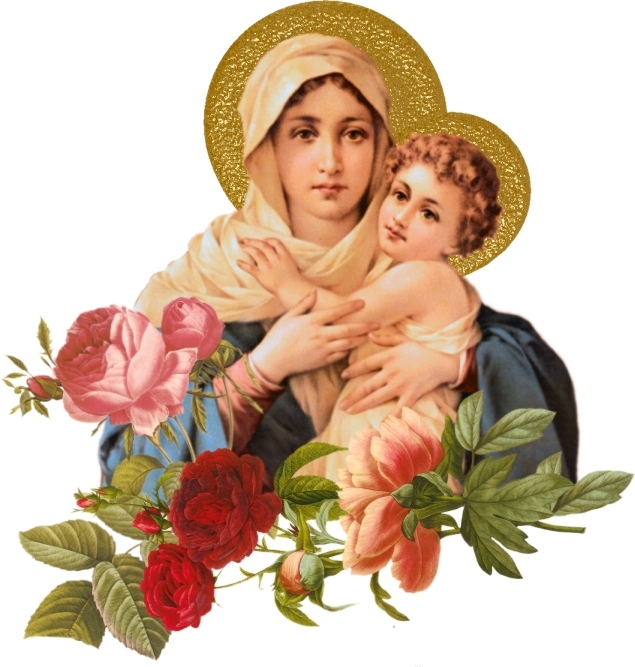 (The recitation of one Our Father and one Hail Mary fully suffices, though we are free to say any other prayer we desire.) It is further required that all attachment to sin, even venial sin, be absent. If the latter disposition is in any way less than complete or if the three prescribed conditions are not fulfilled, the Indulgence will be only partial. The three conditions may be fulfilled several days before or several days after performing the prescribed work; nevertheless, it is fitting that Communion be received and prayer for the Pope's intentions be said the same day the work is performed. A single Confession suffices for gaining several plenary Indulgences. However, one must receive Holy Communion and pray for the Pope's intentions for each plenary Indulgence. To be able to gain a daily plenary Indulgence, one should go to Confession at least every two weeks. Only one plenary Indulgence can be acquired each day, unless a person is at the point of death. In that event, even after gaining a plenary Indulgence that day, one can gain the plenary Indulgence for the moment of death. A partial Indulgence remits only part of the punishment due for sin and is now granted without designation of a specific number of "days" or "years." The faithful who, at least with a contrite heart, perform an action or recite a prayer to which a partial Indulgence is attached, obtain, in addition to the remission of temporal punishment acquired by the action itself, an equal remission of punishment through the intervention of the Church. The amount remitted depends on the person's fervor, on the greatness of the sacrifice, and on how perfectly the act is performed. Any number of partial Indulgences can be acquired per day, unless otherwise indicated. A plenary indulgence is granted for reciting five decades of the Rosary in a church or public oratory or in a family group, religious community or pious association. A partial indulgence is granted in other circumstances. The five decades must be recited continuously. The vocal recitation must be accompanied by pious meditation on the mysteries. In public recitation the mysteries must be announced in the manner customary in the place; for private recitation, however, it suffices if the vocal recitation is accompanied by meditation on the mysteries.